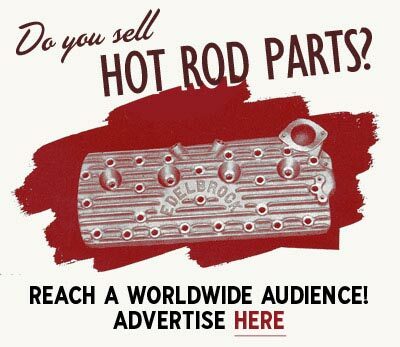 An ad for Rod & Custom Magazine printed in Hop Up May 1953. Another ad from Hop Up May 1953. 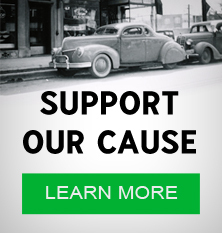 Rod & Custom magazine was born as a stepchild to Hop Up Magazine in 1953. As the Hop Up staff decided to grow Hop Up into a full size magazine for the March 1953 issue, dedicated readers responded by horror as they demanded the small size Hop Up to return. As it would have been physically impossible to resurrect the small size magazine, it was decided to create a new small size magazine named "Rods and Customs" instead. In order to avoid hiring new people, Bill Quinn assigned the brand new magazine to Spencer Murray without lessening his Hop Up duties. Spence became the editor simply because everyone else was so busy with the new Hop Up. After a short debate, the magazine was named "Rods and Customs". The first issue of Rods and Customs hit the newsstand in May 1953, and costed 25 cents for its 66 pages, or $2 a year. 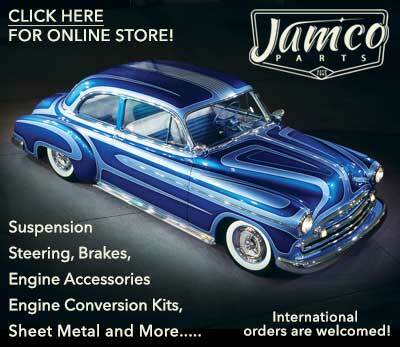 By June 1953, the name of the magazine was changed to "Rod & Custom". The first few issues were scraped together with unused Hop Up material, full-page salon photos of cars featured in earlier issues, and a few pinup girls for good measure. All of the Hop Up staff were working on both magazines, and Barney Navarro become their tech guy swapping his input for ad space. Spence kept writing Hop Up captions and typing labels while being the editor of Rod & Custom. As the guys at Petersen Publishing, who had started Motor Trend in September 1949 as a companion to Hot Rod Magazine heard the rumors about a new small-sized magazine called "Rod & Custom", they answered by creating their own small-sized magazine called Honk!. Honk! who was marketed as "The Voice of the Motoring World" also hit the newsstands in May 1953. Spence and the rest of the "Rod & Custom" staff beat Honk! to the newsstand by a week. Quinn was jealous of Petersen's adress at 5959 Hollywood Blvd. He felt that address gave a magazine much more prestige than an address in a Glendale suburb, so he found an office space at 4949 Hollywood Blvd that Quinn Publications moved into. With the new address, Quinn hoped he would get wayward Petersen mail, but the mailman knew better. One Friday In 1955 the staff of Quinn Publications said their usual weekend goodbye, when they returned on Monday they were greeted by Robert E. Petersen. Robert had bought Quinn Publications, and Rod & Custom and Motor Life were his property. The first Rod & Custom for Petersen was July 1955, and the staff of old Quinn Publications moved into 5959 Hollywood Blvd. After the April 1959 issue, Spencer Murray took a hiatus, but returned once more as editor after Rod & Custom became full-sized in August 1961. 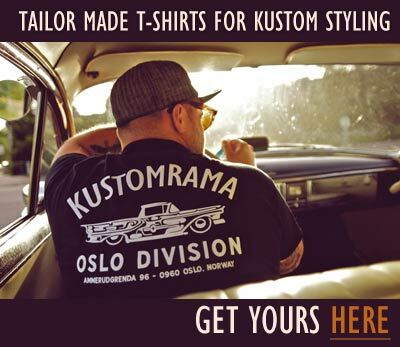 Subscribe to our newsletter and receive updates on Rod & Custom and other subjects featured on Kustomrama. If you have additional information, photos, feedback or corrections about Rod & Custom, please get in touch with Kustomrama at: mail@kustomrama.com.